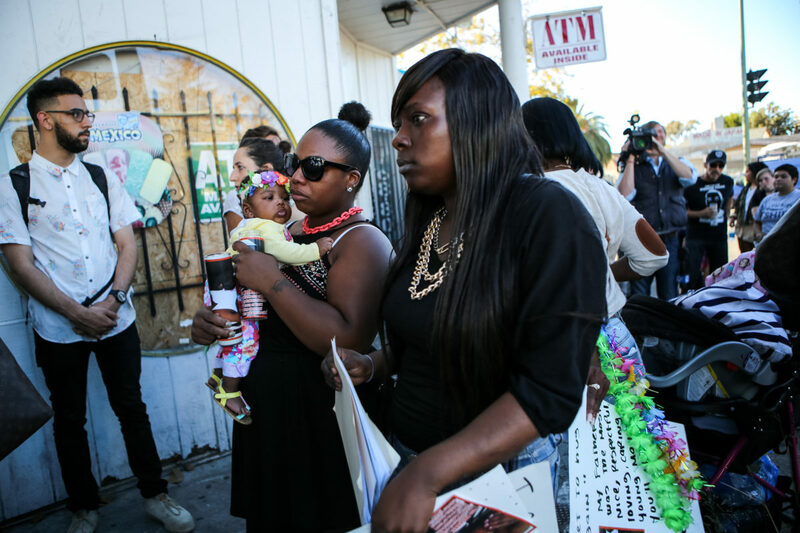 Chemika Hollis, 25, holds her 3-month-old daughter Kailei as they arrive at a vigil held for her boyfriend Nathaniel Wilks, 24, in Oakland, Calif., Friday, August 14, 2015. Wilks was fatally shot by Oakland police officers on August 12. Wilks collided into another vehicle after leading police on an eight-mile-long pursuit, and then attempted a carjacking before being shot by three Oakland police officers in a foot pursuit. He was yielding a loaded 9-millimeter semiautomatic handgun at the time of the shooting less than a block away from the intersection of Martin Luther King Jr. Way and 27th Street, according to police. The gun had been reported stolen, but was never fired, said police authorities. Wilks was later pronounced dead at Highland Hospital in Oakland, California. Officer Johnna Watson, a spokeswoman for the Oakland Police Department, said that a preliminary autopsy report revealed that the bullets entered the front of the mans body. Witnesses claim that the suspect had stopped running and said, OK, OK, OK indicating that he surrendered before being shot by police. 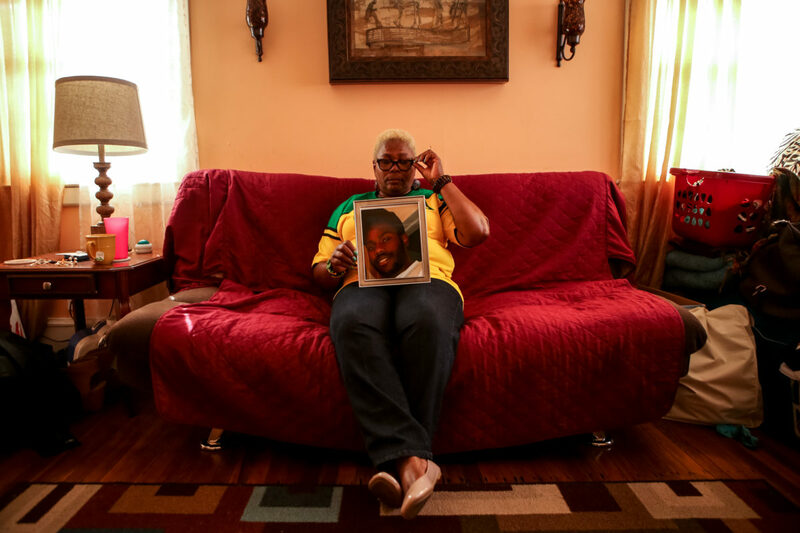 Angela Naggie, mother of OShaine Evans, poses for a portrait inside her home in East Oakland, Calif., Sunday, October 4, 2015. Evans, a 26-year-old Oakland resident, was fatally shot by SFPD Officer David Goff, a six-year-veteran of the force, after a confrontation near AT&T Ballpark in San Francisco on October 7, 2014. According to police officials, five police officers spotted a suspicious vehicle casing other cars near the ballpark and observed it as it parked near Jack London Alley and Bryant Street. Two occupants, who were not Evans, stepped out of the car and broke into an SUV stealing a laptop. As the two occupants returned inside the car, SFPD Officer Goff, who was wearing a shirt over his uniform, approached the drivers side door and claimed he spotted a handgun in Evans possession. According to police officials, Officer Goff demanded that Evans drop the gun, but did not comply, forcing the officer to discharge his firearm into the vehicle. The front seat passenger jumped out the car and attempted to flee, but was caught by additional officers. Evans and the back seat passenger were struck by gunfire. Evans was taken to San Francisco General Hospital where he was pronounced dead. "It's almost a year since he's gone," said Naggie. "I mean, he's not going to come back. You're never going to see him again. It's just hard, it's hard on everybody." 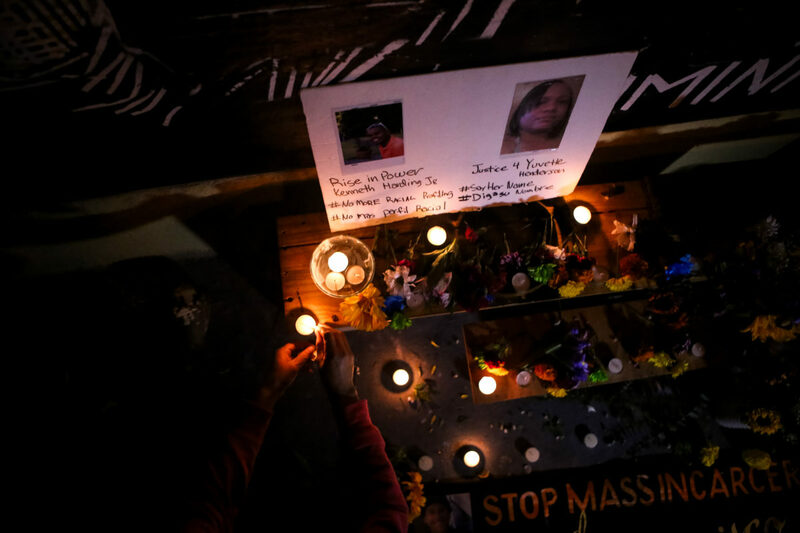 Evans' income helped support Naggie and her family, but the supplemental income disappeared when Evans' was fatally shot by SFPD. Working as a substitute with the Oakland Unified School District and being unemployed during the summer, Naggie could not make enough to pay rent and fell behind on her payments. 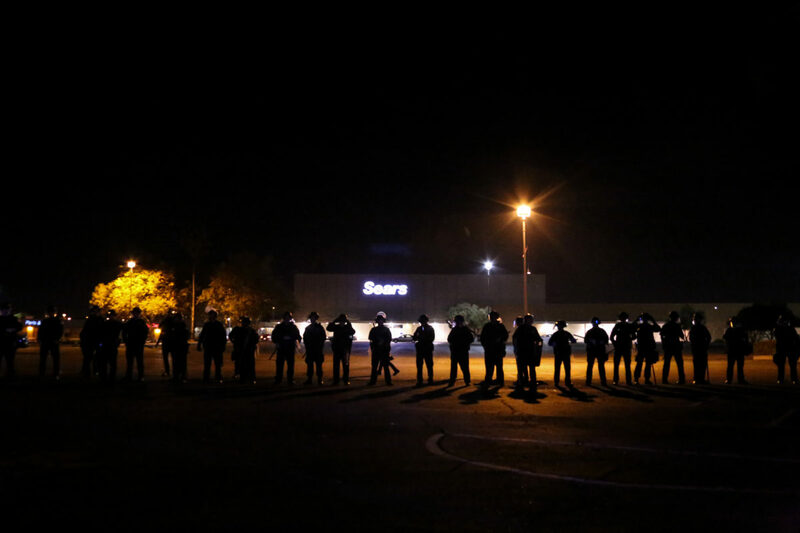 Police in riot gear line up in formation as crowds gather after a Ferguson grand jury's decision not to indict Ferguson, Missouri Police Officer Darren Wilson in the shooting death of Michael Brown, during a protest in Sacramento, Calif., Monday, November 24, 2014. 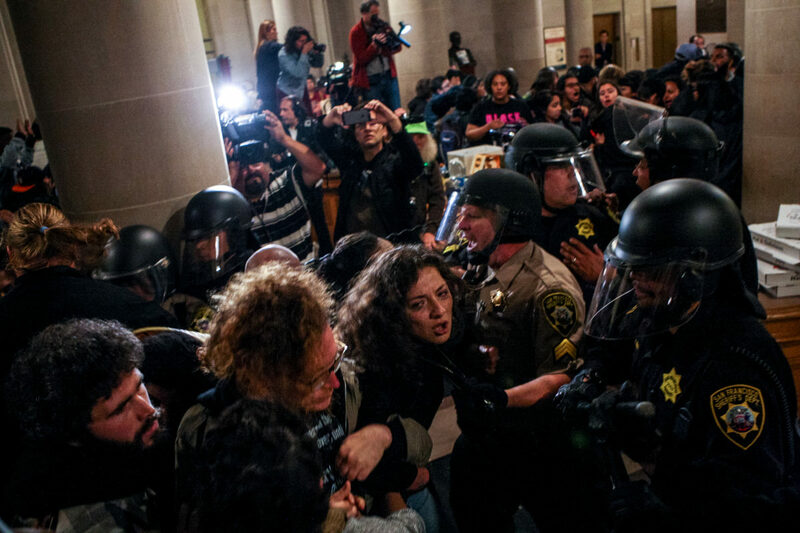 James Burch gets slammed by a San Francisco deputy sheriff after protestors stormed through the eastern entrance of City Hall in San Francisco, Calif., Friday, May 6, 2016. 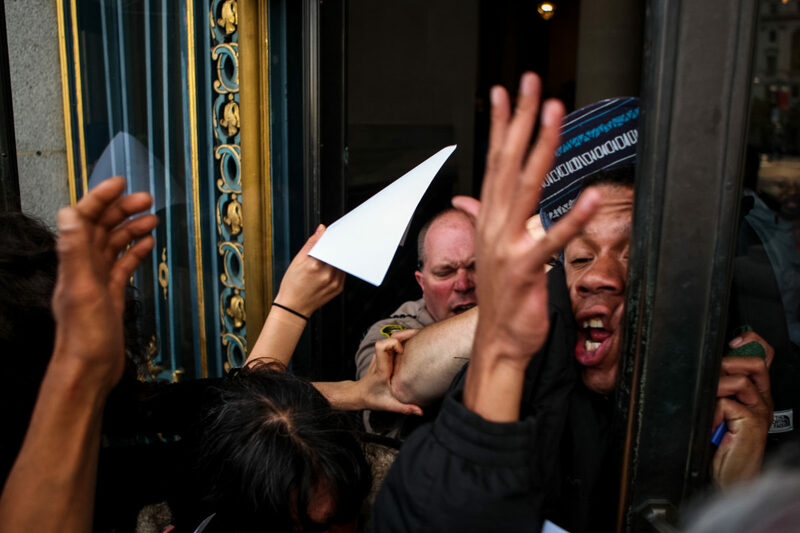 All doors to City Hall were locked during business hours after a group of protestors supporting the Frisco 5 marched inside the building and gathered outside the office of Mayor Ed Lee demanding the resignation of SFPD Chief Greg Suhr. A second group of protesters were let in after individuals from the group inside walked towards the eastern entrance of the building and opened the doors to others waiting outside. 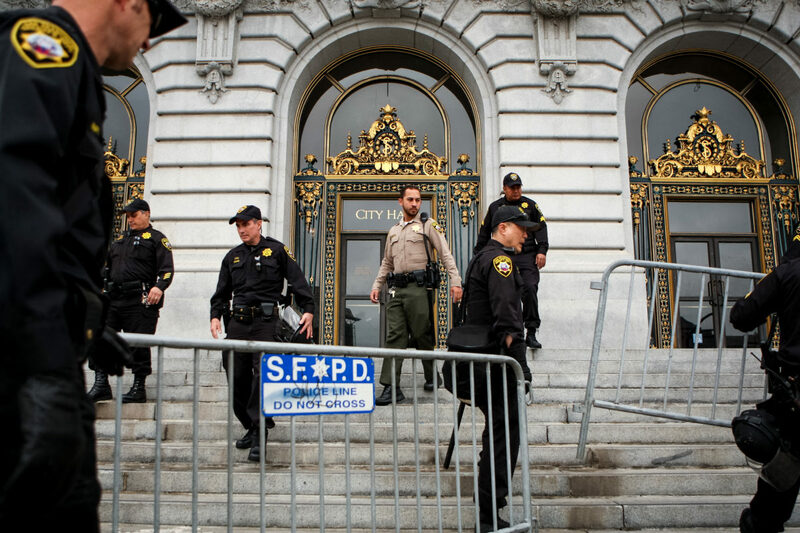 Deputy sheriffs place barricades outside City Hall just days after protestors occupied the building in San Francisco, Calif., Monday, May 9, 2016. 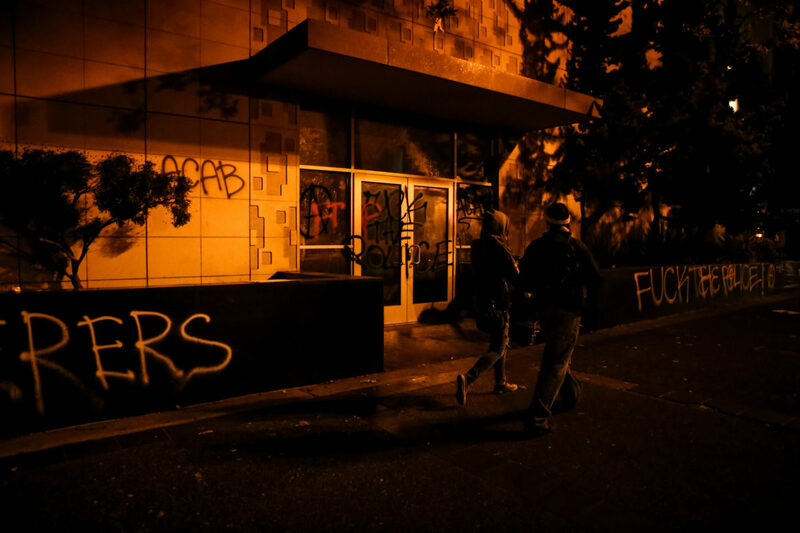 The occupation of City Hall demanding the resignation of SFPD Police Chief Greg Suhr resulted in damage to the building and the arrest of 33 protestors. 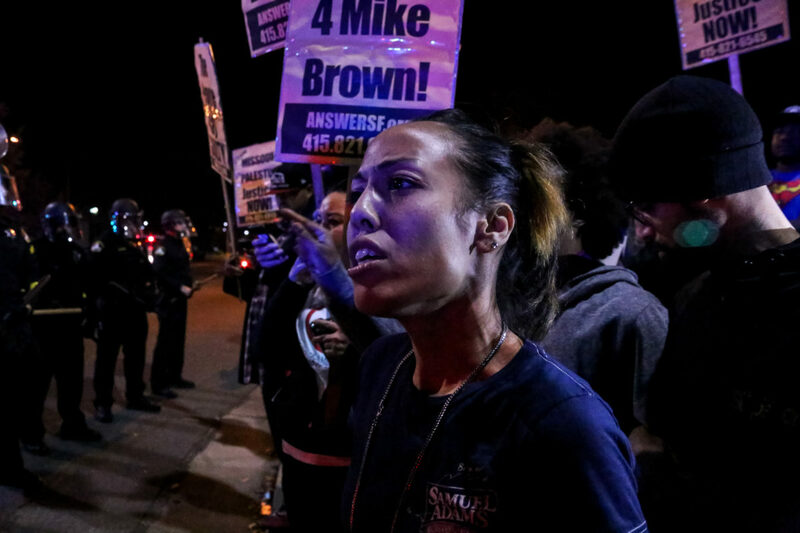 Shaunessy Thompson gathers with protesters, after a Ferguson grand jury's decision not to indict Ferguson, Missouri Police Officer Darren Wilson in the shooting death of Michael Brown, during a protest in Sacramento, Calif., Monday, November 24, 2014. 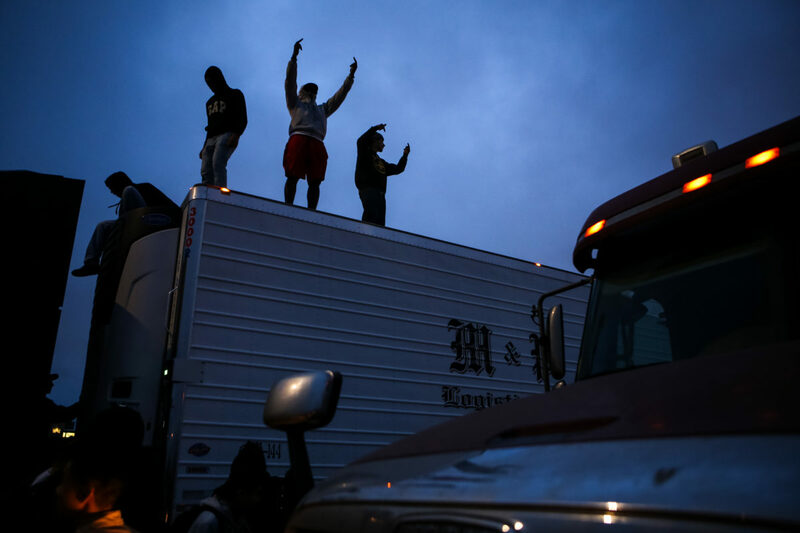 Protestors stand on trucks as they occupy both directions of the I-880 freeway following the separate fatal officer-involved shootings of Alton Sterling and Philando Castile, in Oakland, Calif., Thursday, July 7, 2016. Sterling was shot by two white Baton Rouge Police Department officers in Baton Rouge, Louisiana and Castile was shot by a St. Anthony police officer in Falcon Heights, Minnesota. 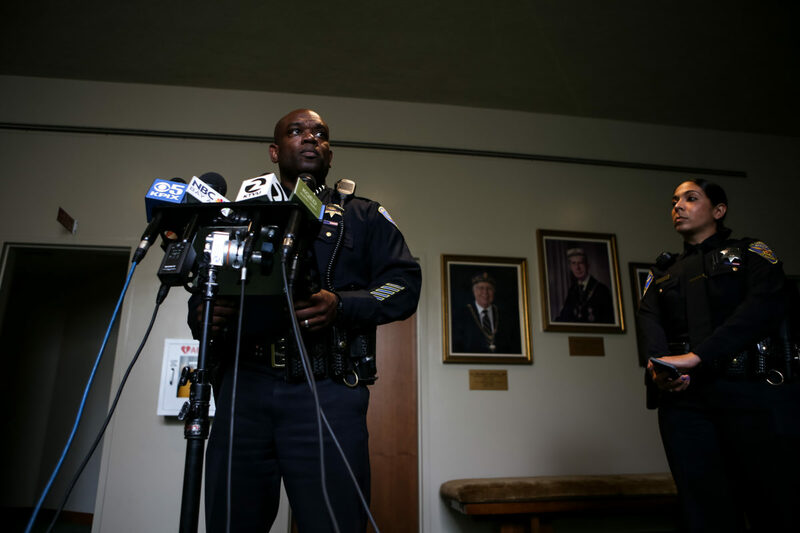 SFPD acting Police Chief Toney Chaplin speaks to media the morning after a shooting in Dallas, Texas left five police officers dead, in San Francisco, Calif., Friday, July 8, 2016. Chaplin took over the San Francisco Police Department following the resignation of former Police Chief Greg Suhr. 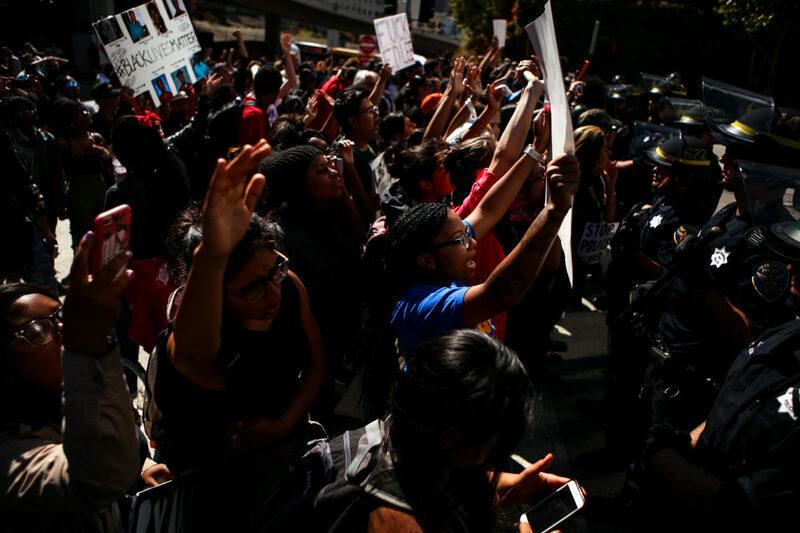 Protestors hold hands during a protest against police brutality in San Francisco, Calif., Saturday, July 9, 2016. The protest came after Alton Sterling and Philando Castile, two African-American men, were fatally shot by police officers in different incidents the week prior. Five police officers were also fatally shot in a sniper attack by a gunman during a protest in Dallas, Texas just two days before the protest. 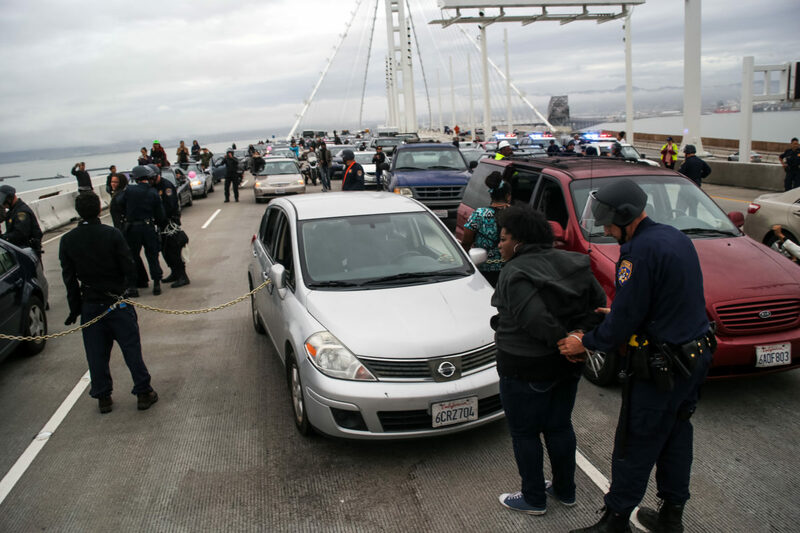 A protestor is arrested by California Highway Patrol officers after blocking traffic during a demonstration against police brutality on the San Francisco-Oakland Bay Bridge in San Francisco, Calif., Monday, January 18, 2016. Twenty-five protestors were arrested by CHP officers and were charged with public nuisance, unlawful assembly and obstructing free passage on a road. 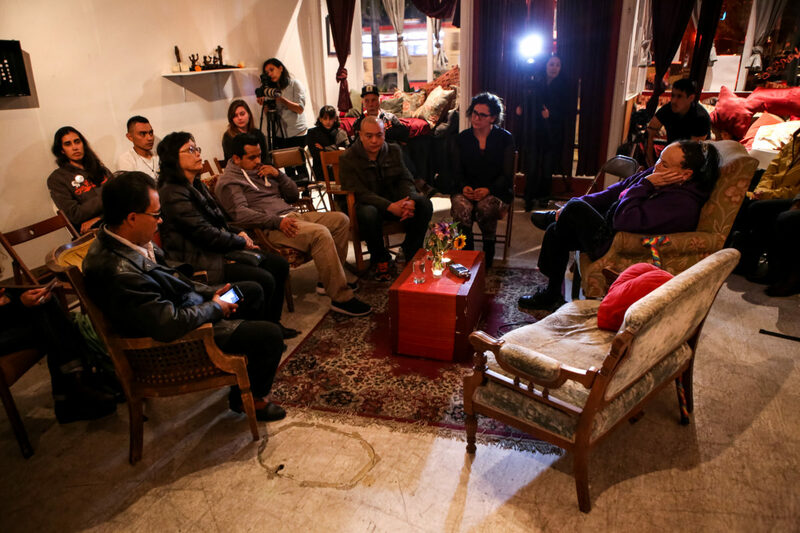 From left to right: David de Leon, housemate of Amilcar Perez-Lopez; Christine Goias, mother of Errol Chang; Ely Flores, close friend of Alex Nieto; Matt Chang, brother of Errol Chang; Adriana Camarena, restorative circle facilitator; and Mesha Irizarry, mother of Idriss Stelley gather during a restorative circle for friends and family of individuals killed by law enforcement on Día De Los Muertos at the Red Poppy Art House in San Francisco, Calif., Monday, November 2, 2015. 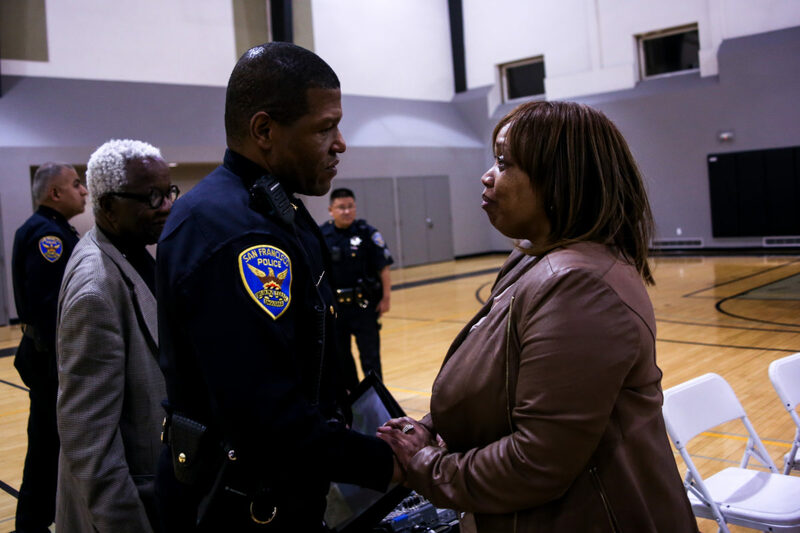 SFPD Police Chief William Scott is greeted by Gwendolyn Woods, mother of Mario Woods, during Scott's first town hall meeting as the city's newly-sworn police chief in San Francisco, Calif., Thursday, May 9, 2017. 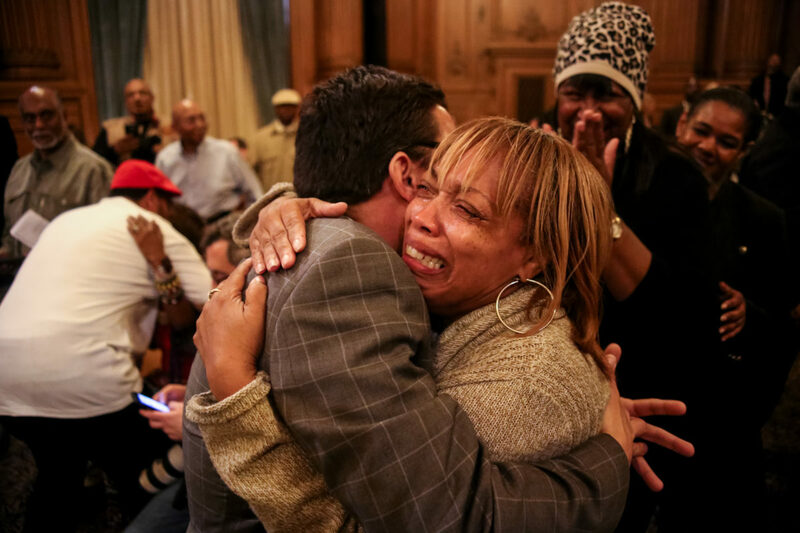 Woods' death by SFPD in December 2015 sparked a series of protests in the Bay Area that ultimately led to the resignation of former Police Chief Greg Suhr. Chief Scott, a 27-year veteran of the Los Angeles Police Department, was sworn in by the late Mayor Edwin M. Lee replacing acting Chief Toney Chaplin on January 23, 2017. 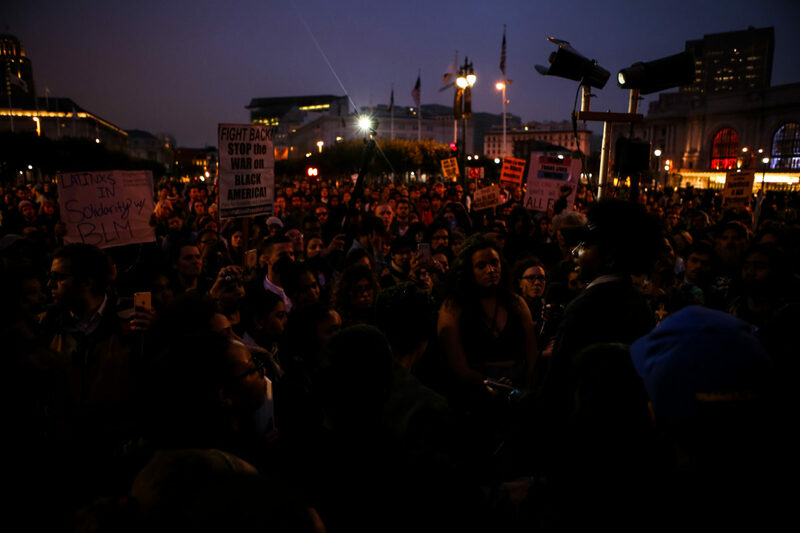 Keturah Nobles speaks to a crowd during a protest against police brutality outside City Hall in San Francisco, Calif., Friday, July 8, 2016. Five police officers were fatally shot in a sniper attack by a gunman during an anti-police protest in Dallas, Texas the night before. 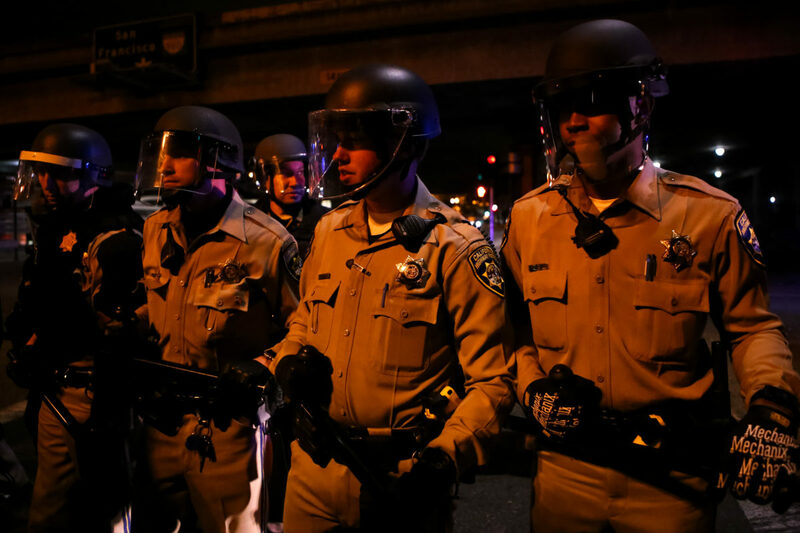 California Highway Patrol officers line up in formation after clearing protestors occupying the I-880 freeway following the separate fatal officer-involved shootings of Alton Sterling and Philando Castile, in Oakland, Calif., Thursday, July 7, 2016. Sterling was shot by two white Baton Rouge Police Department officers in Baton Rouge, Louisiana and Castile was shot by a St. Anthony police officer in Falcon Heights, Minnesota. An outcry from community members has often followed the fatal discharge of a bullet from an officer’s gun. Some responses are solemn, while others have spiraled into violence in different forms of protest demanding justice for those killed at the hands of law enforcement. 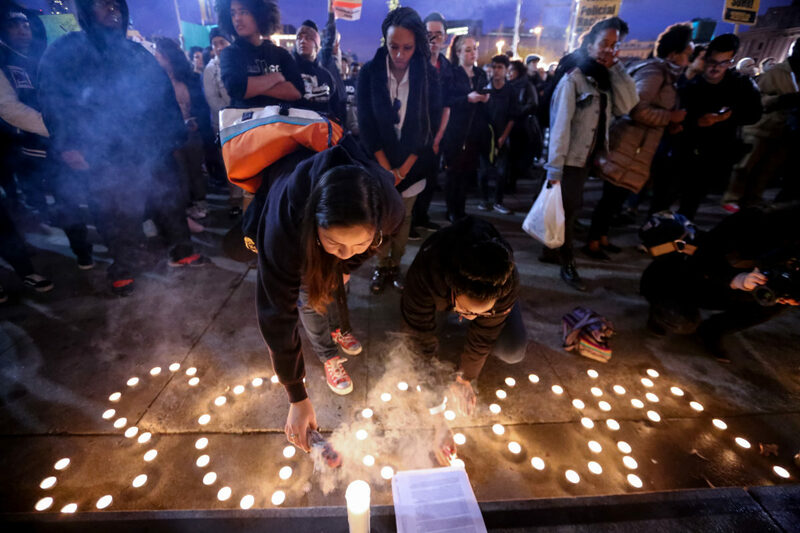 None of the officers involved in the five fatal shootings had criminal charges filed against them by the San Francisco District Attorney’s Office. Alejandro Nieto, a 28-year-old Mission District resident and City College student, was fatally shot by police officers after reports were received of an armed man acting erratically in San Francisco’s Bernal Heights Park on March 21, 2014. Responding officers said that Nieto, who worked as a nightclub security guard, allegedly pointed a stun gun at them upon arrival which they claim to have mistook for a pistol. Four officers then fired a hail of 59 bullets with at least 14 bullets striking Nieto’s body according to an autopsy report. Nieto’s parents filed a lawsuit against the city in 2014 claiming that the officers deprived their son of his constitutional rights. In March 2016, a federal jury cleared the four officers involved stating that they did not use excessive force in Nieto’s shooting. 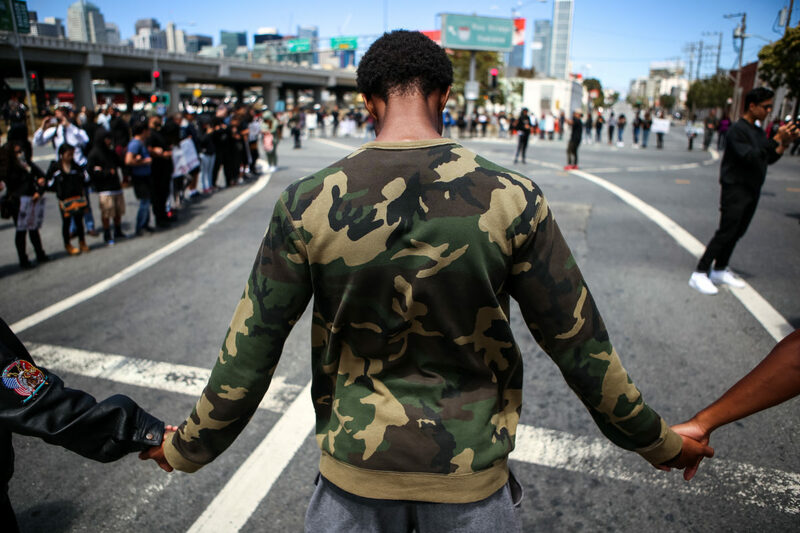 His death sparked and led a movement of protests across the Bay Area. A year after Nieto’s death, an officer-involved shooting in San Francisco killed Amilcar Perez-Lopez, a 21-year-old immigrant from Guatemala. According to police, Perez-Lopez was attempting to steal a bike from a bicyclist at knife point, but some witnesses claimed otherwise. 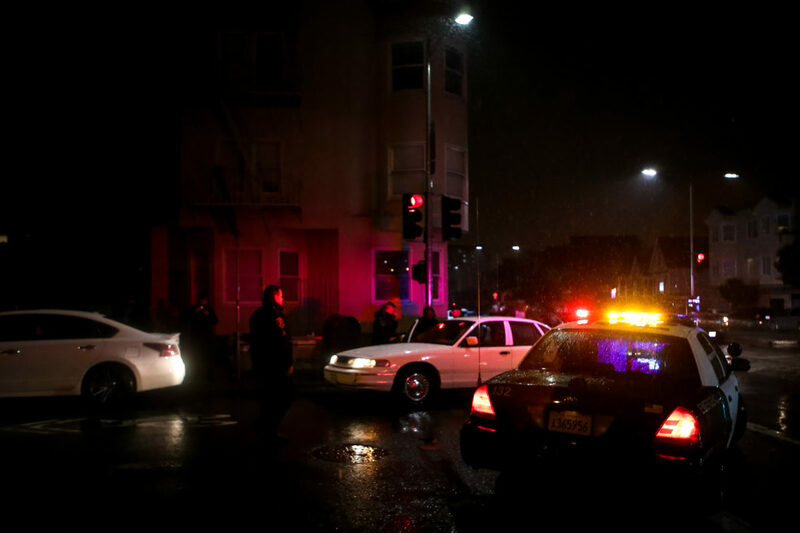 Another controversial shooting followed as Mario Woods, 26, was shot by five police officers with 21 bullets striking his body in San Francisco’s Bayview District on December 2, 2015. Cellphone footage of the shooting appeared to show Woods walking away from several officers as they surrounded him before they opened fire. Woods was reported to have been a suspect in a stabbing earlier that day and was still armed with a knife at the time of the shooting according to police. On April 7, 2016, two San Francisco police officers were dispatched to a call about a homeless man, later identified as Mexican immigrant Luis Góngora Pat, waving a knife at a nearby homeless encampment. When the officers arrived to the call, they were charged at by Góngora Pat who was still wielding a knife prompting the officers to fire four bean-bag bullets in an attempt to disable him according to police. The less-lethal rounds proved ineffective and the officers opened fire hitting Góngora Pat six times including a fatal shot to the head according to a report by the district attorney’s office. Eight witnesses confirmed the account, but other witnesses provided contradictory statements according to prosecutors. The entire encounter from the time the officers exited their patrol vehicles to when they opened fire lasted only 30 seconds. A wrongful death lawsuit was settled in January 2019. 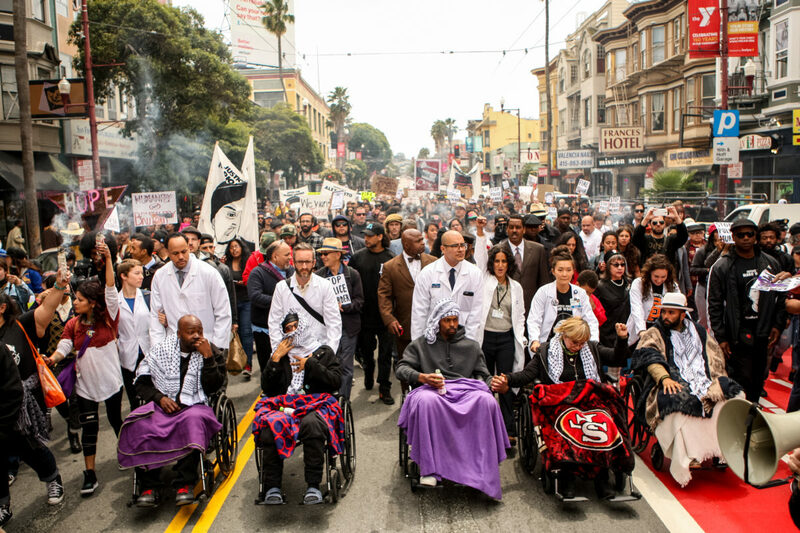 In the days and weeks following the shooting of Góngora Pat, a group of activists known as the Frisco 5 commenced on a hunger strike demanding the resignation of SFPD Chief Greg Suhr. Protestors also marched to City Hall, clashing with sheriff’s deputies after occupying the building, resulting in property damage and 33 arrests. The Frisco 5’s hunger strike was called off the following morning of the City Hall protest after completing 17 days of fasting. 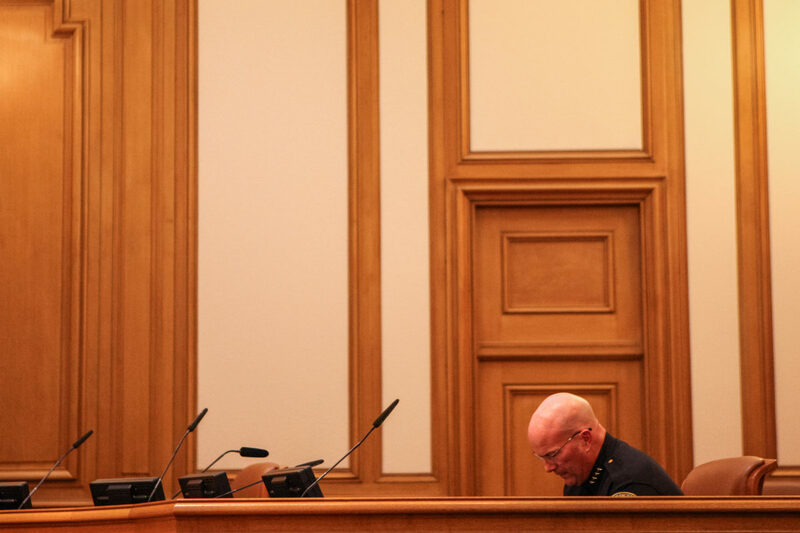 Later that week on May 9, 2016, a report from the District Attorney’s Blue Ribbon Panel found police bias and a lack of oversight within San Francisco’s police department.